The home of Bavarian hospitality. A "Royal Bavarian Post Station" - that was in 1820. Nowadays the host only harnesses his horses so his guests can enjoy exciting carriage rides through the beautiful mountain scenery in Kiefersfelden. Hotel zur Post - that's Bavarian hospitality. Here the Bavarian tradition is still at home, and lives on as warm as ever. Whether in the hotel, in the guest lounge at the Gasthof zur Post or in the beer garden, there's always time for a personal conversation. Your hosts, Christine and Andi Pfeiffer, are always available to give you tips about events, holiday planning, excursions and local sights. Not for nothing does the motto on the "blue and white checked" flag of the Pfeiffer hotel family read: A "fantastic" experience in Bavarian comfort - for every guest. 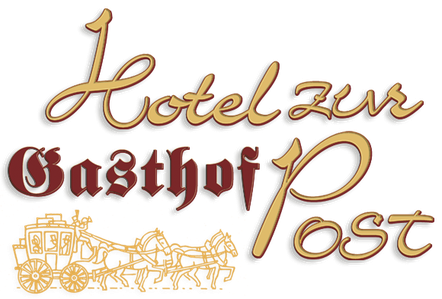 You're certain to make the right choice when you choose the family-run Hotel zur Post in Kiefersfelden. You can spend the night and enjoy a generous buffet breakfast right on the Tyrolean border.